All about FizzBall. Download the trial version for free or purchase a key to unlock the game! Play the crown jewel of Breakout games! A strange event has placed all of the animals in peril! 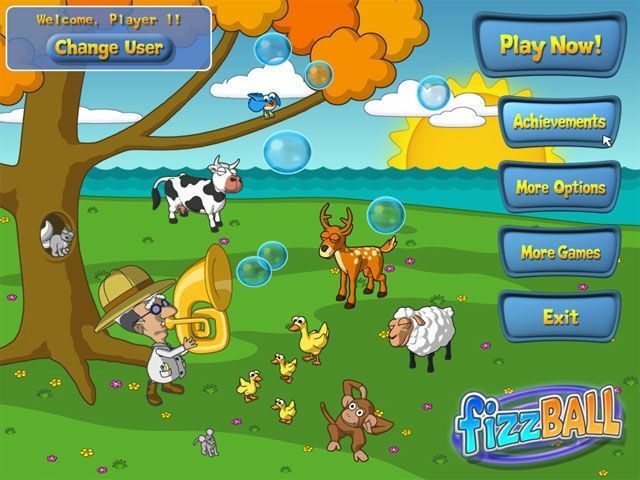 It's up to you to rescue them in this dazzling new Breakout game starring the charming Professor Fizzwizzle. Features an exciting new style of gameplay and cool visuals! There's no rest for Professor Fizzwizzle! When a strange event leaves the animals of an island paradise stranded without food, he sets out to rescue them with his ingenious FizzBall. Each level of this inspired new Breakout game begins with you in control of a small bubble. At first, you can grab only acorns and a few small animals. 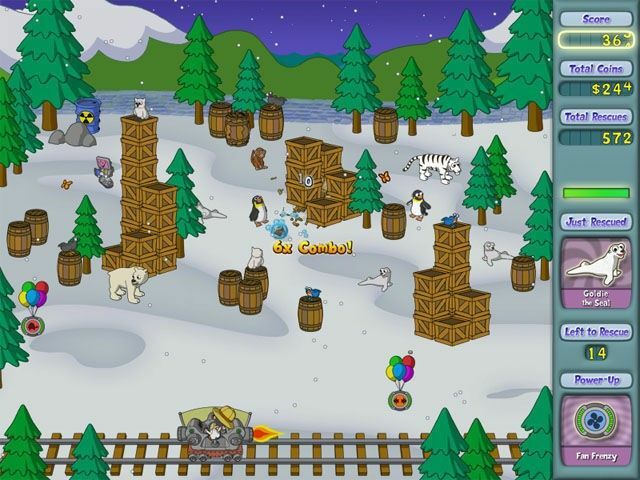 As your bubble expands, however, you can capture zebras, elephants and dozens of other exotic species! There's no time for boredom when playing FizzBall, as the bonus levels shake up the gameplay even more! 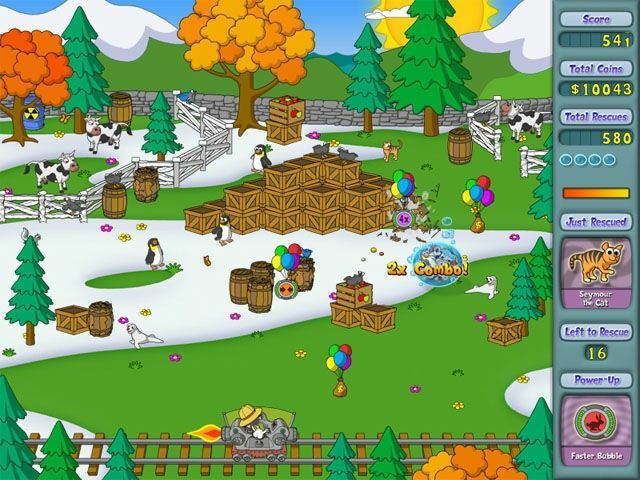 You can also earn trophies, compete online for high scores and visit the Animal Sanctuary between levels to feed your assorted guests, all while enjoying some of the most colorful visuals to ever grace your screen!